iWave’s Screening is built on a foundation of customization and transparency that is the first of its kind. 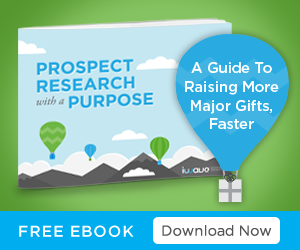 It enables development departments to segment hundreds or thousands of individuals you know very little about into a prioritized list of prospects with the greatest capacity and inclination to donate a major gift to your organization. For decades, wealth screening has been expensive, provided incomplete and quickly out-of-date data, offered inaccurate prospect ratings with many false positives, and took weeks to return results. That story is changing, with iWave. iWave’s Screening provides a fresh approach, giving you confidence that you’re asking the right person, for the right amount, at the right time. 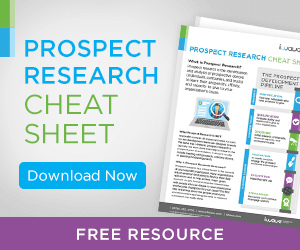 360 View of Your Prospect: Get a comprehensive view of your prospect, focusing not only on an individual’s capacity but also their propensity to give, and affinity to your cause. Transparency And Customization: Have confidence in the results because scores are completely transparent and tailored specifically to your organization. iWave shows you how scores were derived and what records were matched. Fast Results: Results are returned in minutes or hours rather than days or weeks. Current Data: Profiles stay up-to-date because you can add new information and refresh results at any time. Upload a list of individuals to screen for wealth and philanthropic indicators. Customize settings to your organization’s specific fundraising goals. For example, major gift ranges, strictness of the matching filter, weighting of key components (propensity, affinity, and capacity), and the cause you want to find prospects connected to. 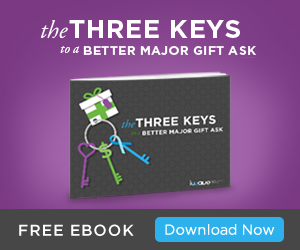 With one click, create profiles for top major gift prospects that have been identified. Validate and refresh results any time within iWave.